The future of wheel bags. Each bag holds one wheel (up to 700c with 35mm cyclocross tire) for transport. 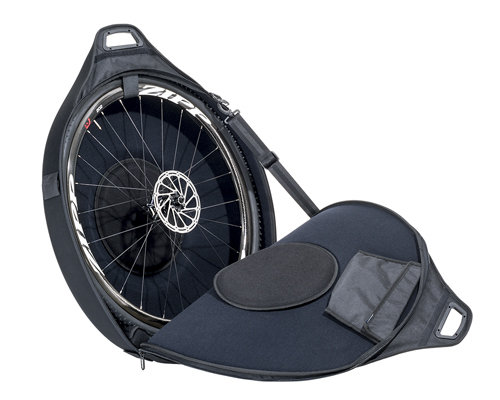 It also connects to a second Zipp Connect wheel bag to form a double wheel bag.